Kate Spade started with handbags in 1993. She didn't stop there. Now fresh and feminine takes on timeless sunglasses styles put more Spade in your look. 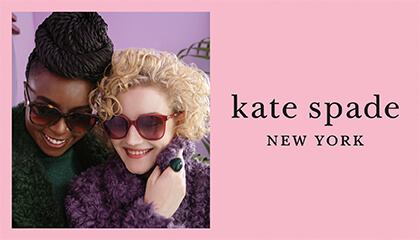 Kate Spade icons feature on temples and faces for unmistakable branding. And you'll love the eyes in the colour pop cases these come in.